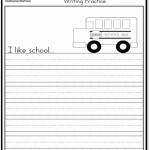 “I like school…” writing practice page. Has a picture of a bus and writing lines. 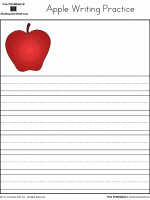 Here is a list of patterns printables available from Houghton Mifflin. 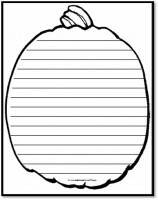 They can be used for a shape book or themed writing page. Flower Shape Book Pattern Also without lines. Garden Gate Shape Book Pattern Also without lines. House Shape Book Pattern Also without lines. Ice Cream Cone Shape Book Pattern Also without lines. Kite Shape Book Pattern Also without lines. Ladder Shape Book Pattern Also without lines. Lion Shape Book Pattern Also without lines. Minivan Shape Book Pattern Also without lines. Mirror Shape Book Pattern Also without lines. Mittens Shape Book Pattern Also without lines. Moon Shape Book Pattern Also without lines. Pig Shape Book Pattern Also without lines. 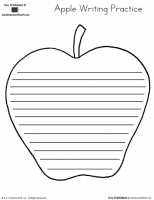 Rainbow Shape Book Patterns Also without lines. Raindrop Shape Book Pattern Also without lines. Shell Shape Book Pattern Also without lines. Sock Shape Book Pattern Also without lines. T-Shirt Shape Book Pattern Also without lines. Taxi Cab Shape Book Pattern Also without lines. 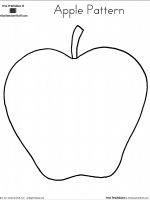 Tooth Shape Book Pattern Also without lines. Train Car Shape Book Pattern Also without lines. Train Engine Shape Book Pattern Also without lines. Treasure Chest Shape Book Pattern Also without lines. Umbrella Shape Book Pattern Also without lines.